KATHMANDU, Dec 28: It has been found that various donor agencies and International Non-Governmental Organizations (INGOs) have been ‘influencing’ the lawmaking process in parliament through their direct funding to various committees of the legislature parliament. Such agencies have been penetrating in the process of drafting new bills by organizing various programs where the experts selected by the INGOs present papers to convince lawmakers and officials of parliament secretariat with their ideas. Such programs are always organized at five-star hotels or resorts in and outside the Kathmandu Valley. Of late, National Democratic Institute (NDI), a US-funded agency, has been funding a parliamentary committee to discuss on six new bills, which are under discussion in the parliament’s Social Justice and Human Rights (SJHR) Committee, at a five star hotel in Kathmandu. The SJHR Committee of the parliament organized discussion on bills to establish various constitutional commissions at five-star hotels in Kathmandu. The NDI provided funding to hold discussions on formation of the Muslim Commission, Dalit Commission, Indigenous Commission, Ethnic Commission, Inclusive Commission and Tharu Commission. Chairman of the committee Sushil Kumar Shrestha admitted that the committee held discussions on the bills related to establishing the six commissions with the funding of the INGO. 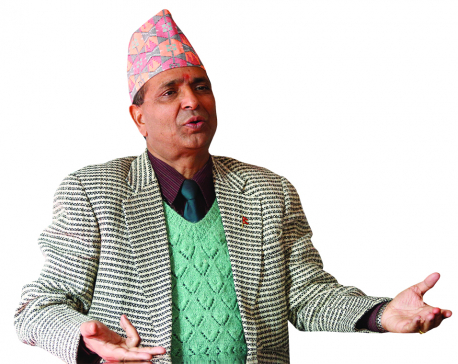 “However, we haven’t sensed any influence of donor agency so far in the lawmaking process,” Shrestha told Republica. Meanwhile, a lawmaker of the same committee, requesting anonymity, informed that such agencies penetrate their interest in deliberations in various ways such as selecting paper presenters and contents for discussions. Likewise, United Nations Development Program (UNDP) and Japan International Cooperation Agency (JICA) have been funding for discussions on the bills to replace the Muluki Ain (Law of the Land). These two agencies have been funding several programs to discuss this key law of Nepal since 2009. They have been funding for various activities from the initial phase of making these laws, such as drafting of the bills, series of discussions in its content and also sponsored international visits for a group of lawmakers and parliament officials. Speaker Onsari Gharti, members of the parliament’s bills committee and officials from the parliament secretariat visited various countries to observe their legal system. Officials informed that the government entrusted the UNDP and JICA with the task of preparing explanatory notes of the Civil Code and Criminal Code by hiring experts by the donor agencies themselves. Asked about the ethical issues of accepting such funds, Radheshyam Adhikari, coordinator of a sub-committee of the Bills Committee of the parliament which is working on replacing the Civil Code, argued that there is no need to take such funding negatively. “Nepal should either declare that she is capable of doing such task on its own and will no longer accept any foreign grants. If we are unable do so, there wouldn’t be better option than accepting funds from such agencies,” claimed Adhikari over telephone on Tuesday. 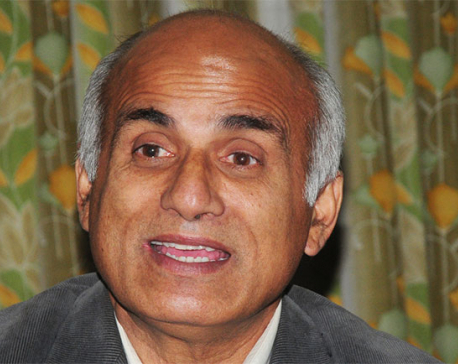 Members of the Bills Committee including Adhikari were at a resort in Dhulikhel on Monday to discuss over the five bills to replace the Muluki Ain. The donor agencies had also funded State Affairs Committee (SAC) of the parliament to hold deliberations on other three election-related bills at a five star hotel last week. Experts worry that funding of INGOs and donor agencies during the drafting process of any laws could have influence in the policy-making level. Former secretary at the Nepal Law Commission Mohan Banjade claimed that donors and INGOs don’t invest on such activities without their vested interest. A House meeting in September had to be adjourned due to lack of quorum as a large number of lawmakers were attending an interaction at a resort organized by an INGO. Some of the lawmakers have repeatedly expressed their reservation when INGOs send their buses to the parliament building to pick lawmakers from there. Speaker Gharti at a House meeting had instructed lawmakers to strictly avoid gatherings called by INGOs or donor agencies when there are meetings of parliament or its committees.